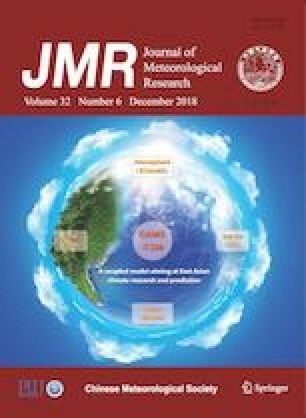 This study examines the impacts of land-use data on the simulation of surface air temperature in Northwest China by the Weather Research and Forecasting (WRF) model. International Geosphere–Biosphere Program (IGBP) landuse data with 500-m spatial resolution are generated from Moderate Resolution Imaging Spectroradiometer (MODIS) satellite products. These data are used to replace the default U.S. Geological Survey (USGS) land-use data in the WRF model. Based on the data recorded by national basic meteorological observing stations in Northwest China, results are compared and evaluated. It is found that replacing the default USGS land-use data in the WRF model with the IGBP data improves the ability of the model to simulate surface air temperature in Northwest China in July and December 2015. Errors in the simulated daytime surface air temperature are reduced, while the results vary between seasons. There is some variation in the degree and range of impacts of land-use data on surface air temperature among seasons. Using the IGBP data, the simulated daytime surface air temperature in July 2015 improves at a relatively small number of stations, but to a relatively large degree; whereas the simulation of daytime surface air temperature in December 2015 improves at almost all stations, but only to a relatively small degree (within 1°C). Mitigation of daytime surface air temperature overestimation in July 2015 is influenced mainly by the change in ground heat flux. The modification of underestimated temperature comes mainly from the improvement of simulated net radiation in December 2015. Supported by the China Meteorological Administration Special Public Welfare Research Fund (GYHY201506001) and National Natural Science Foundation of China (41675015). We thank the two anonymous reviewers and the editor-in-chief for their comments to improve this paper.